Reconquista. That's what they - not all of them - are saying they want. 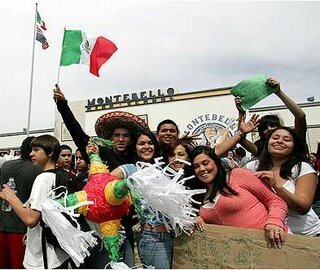 They want to suppress successful California as part of failed Mexico. These photos are from Montebello High School in Whittier, California on March 29. 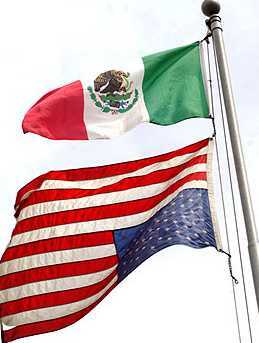 They made a loud statement by flying the flag of Mexico above that of the US. And the US flag is upside down! Michelle Malkin reported on this on March 29, 2006.